New research for Greener Journeys – the campaign to promote sustainable travel –reveals almost a quarter of unemployed young people have missed out on job opportunities because there is no bus to take them to work, while four-fifths are strongly reliant on public transport. Buses could help cut youth unemployment and deliver a £1.4 billion boost to the UK economy under proposals contained in a new report published by Greener Journeys today. The Government should invest in a package of measures including a concessionary bus travel scheme for apprentices, tax incentives for buying bus season tickets, and support for the expansion of bus priority measures. The policy proposals are included in the Bus 2020: A Manifesto for the next Parliament published by Greener Journeys. Research shows the £150 million investment cost of the three measures would be paid for nine times over through the resulting economic benefits, with a further £110 million boost in extra jobs and wider labour market benefits. The call for greater focus on maximising the potential of buses comes as latest figures show that, despite more recent positive economic indicators, youth unemployment remains at more than 20%, with 1.71 million 18-24 year olds economically inactive1. “Everyone is talking about how the economy is beginning to grow again but some young people are being left behind. We need to give our young people the best chance to get a job and gain valuable experience and qualifications that will ensure they can play a productive part in our economy, both now and in the future. To do that, they need to be able to use affordable public transport. “Buses must be part of the solution. Buses are the backbone of Britain and every pound invested in buses is an investment in the future of Britain’s communities, high streets and city centres, young people and our future prosperity. “The policy proposals put forward in Bus 2020 by Greener Journeys will be a welcomed contribution to the debate. “Buses enable people of all ages to get to work, particularly young people, who are more reliant than any other demographic on bus services. The costs or savings for the UK Government stated in Bus 2020 were developed through rigorous independent research by an external provider. Full details of the research and methodology can be found in the Appendix in the report. The manifesto is supported by the UK’s leading bus companies Arriva, FirstGroup, Go-Ahead and Stagecoach. 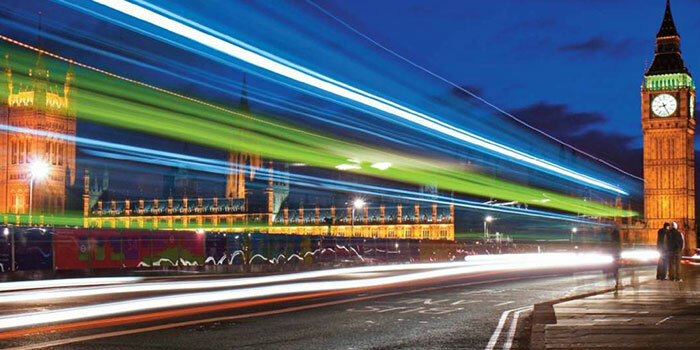 Why are buses important for UK plc? 2.5 million people across Britain take the bus to work every day, and a further 1 million use it as back up, producing more than £64 billion of economic output a year. Buses are an essential mode of transport, accounting for over 5 billion passenger journeys every year and are used by one fifth of the country’s working population outside London. Nearly three times as many trips are made by bus as by surface rail and underground combined. Moreover, 25% of households do not have access to a car and are completely reliant on the bus for many of their essential journeys. Buses also provide a cost effective solution to congestion. They are flexible, can deliver extra capacity very quickly, take up less space on the road and, when combined with priority measures such as bus lanes, can reduce delays and improve journey time reliability. Reduced congestion and the resulting improved network speed and reliability has a direct and significant impact on business costs, enabling the logistics systems and supply chains to operate more efficiently and sustainably. All figures unless otherwise stated come from the Buses and Economic Growth Part II report, conducted by the University of Leeds. The University of Leeds interviewed 373 unemployed individuals aged between 18 and 24 years old attending Job Centre Plus offices in June-July 2013 at a number of sites in Britain, including Edinburgh, Leeds, Chorlton (Greater Manchester), Norwich and Cardiff. The sample was chosen to reflect the national profile of job seekers in terms of gender and unemployment duration.